Greetings from Canada, eh! Yes, by the time you are reading this I will lounging on my sister's couch hopefully getting waited on hand and foot. Well OK, I will be sitting on the couch. Hopefully with a good book. 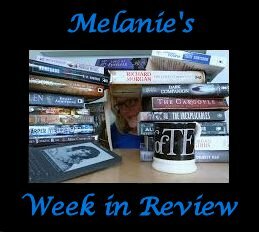 So what did I read this week? 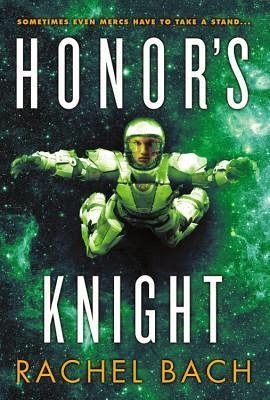 If you read my WIR last week you will know that I started the Paradox series by Rachel Bach last week reading book 1 and starting book 2 - Honor's Knight. 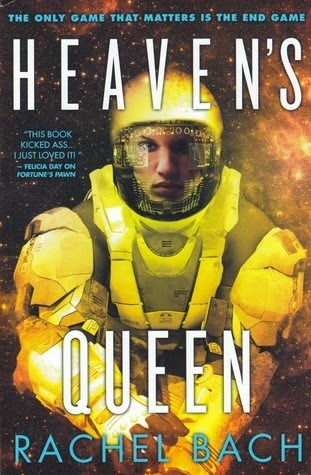 I have also finished reading book 3 - Heaven's Queen. I am going to talk about books 2 and 3 together as to be perfectly honest, I can't remember exactly what happened in each book! By the end of Fortune's Pawn (book 1) Devi, one of my new favourite sci fi heroines has had her memories stolen from her and everything he has learned about her hunky crew mate Rupert and his secret mission has been stripped away. She is left wondering what is going on with the strange child Ren and the floating, glowing aliens that only she can see. By book 3 Devi has had her memories returned, she is on the run and trying to save the universe from the floating, glowing aliens...or that is what she has been led to believe. Ruthless, mass murdering aliens, young girls being tortured and held captive, secret organisations and ruthless killer agents all set on a space ship (or two). Devi is on a crusade to do the right thing and save young girls who have been used to stop a war that only they can see. I wasn't sure if I would but I enjoyed this series. Devi was great heroine who wasn't afraid to make the hard decisions in order to do the right thing. I liked her relationship with Rupert, the genetically enhanced secret agent. It wasn't too cloying and perfectly suited her character. I thought the plot was a tiny bit predictable but it was there was enough happening in it that it wasn't dull. Devi continued to love her armour and guns as much as her lover and friends which I thought was quite 'cute' (sorry Devi ...but it was). They all had names and she wanted to kiss them every time they were parted. This series was perfect for a long commute and a busy week. Next on my reading list was He Drank and Saw the Spider by Alex Bledsoe. I love the Eddie LaCrosse series and this book is another example of Bledsoe's ability to continue to develop a great character. I will be writing a full review of this book so you will have to wait and see what I thought. I hope to get through a few books during my holiday so until next week have a great week and Happy Reading.